Two of my basic organizing principles are: (1) Every item must have a home, and (2) Keep like with like. By selecting a home for every item, you know where to look for it when you need it, and you know where to put it away when you are done. By keeping like with like, you avoid creating multiple homes for similar things. I’ve discovered a great way to reinforce these two principles: labeling. Did you ever have a reserved parking spot? 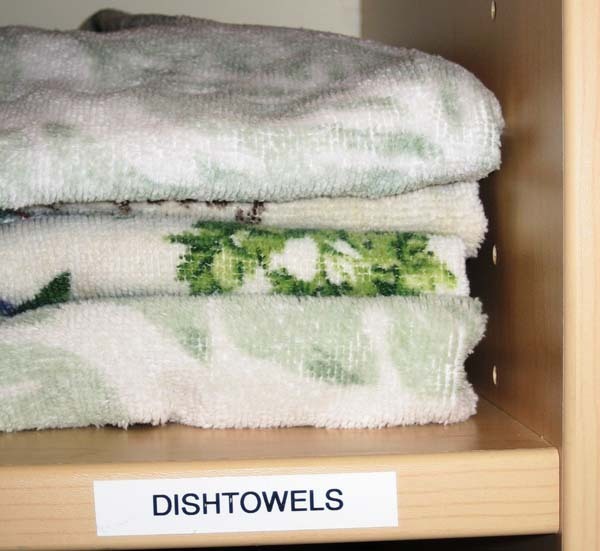 Think of labeling as reserved parking spots for all your stuff! Over the summer I cleaned out the walk-in closet in my bedroom, which has a lot of shelves. Although I knew what was on each shelf, I realized that over time the assignment of shelf space had begun to be made based on what space was available, rather than what else was on that shelf. As I relocated items during the clean-up, I decided to label the shelves. This made it very easy to decide where everything should go. It kept me focused while I was reworking the closet. A few times, I realized that the shelf I had labeled was not the right shelf for that category of items, either because there were too many items or too few. I simply moved the label to another shelf and forged on. I have really been enjoying my newly organized and labeled closet because there is no more guesswork. Using labels with my clients has been helpful because it documents what the client was thinking when we set up the organizational system. The client finds it easier to maintain the system after I leave, and it makes it easier for me to resume where we left off when I come back for my next appointment. 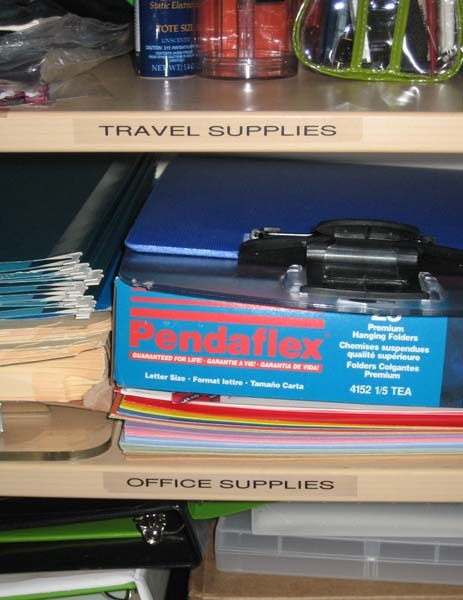 If you share storage space with someone else — either at home or at the office — labeling will ensure that everyone knows what goes where. Labeling is great in kids’ rooms because they have so many playthings that get pulled out and put away on a daily basis. If your kids are too young to read, do your labeling with pictures. 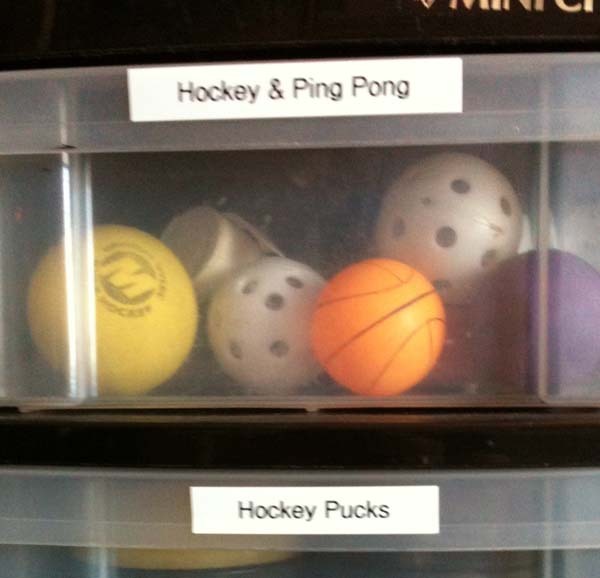 I used to label my daughter’s toy containers with stickers that depicted the contents. When we traveled abroad, I used my labeler to distinguish our three identical-looking passports by putting our names on the back. This was so helpful every time we had to show our passports and then put them safely away. Our tour guides liked it too, and we always got our passports back ahead of everyone else’s because it was so easy to figure out whose they were! Want to join the labeling bandwagon? If so, then I recommend purchasing a no-frills labeler such the Brother P-touch PT-90. You can purchase it at Staples and other office supply stores.